Everyone looks forward to Spring after a long winter. It’s a time of renewal, and it’s a time for cleaning. As you’re getting your home ready for the warm months ahead, don’t forget your HVAC system. To help, here’s a handy HVAC Spring Cleaning Checklist to help get you going. If you covered your outdoor air conditioner condensers to protect them against the winter weather (a good idea, by the way), the first thing you should do is remove those covers. Not only can you give the unit a quick once-over to see if there’s been any damage, but you can potentially cause serious damage to the equipment by turning it on while it is still covered. This is also a good time to clear away any vegetation that’s creeping in too close to your AC unit. Because the condenser coils transfer heat, vegetation or any other obstruction can affect it. Keep everything at least two feet away from the condenser. Your coils are likely covered with a layer of dirt and grime from winter weather. To clean them, make sure the power is off, then remove the metal cage. Use condenser cleaner mixed with water, according to the directions, and spray them clean with a pump sprayer. After five minutes, rinse with a hose — but do not use a power washer. If you’re maintaining your HVAC system properly, you’ve already been changing the filters every 1 to 3 months. However, Spring is an especially good time to get a fresh new filter in place after the closed-in air of winter has probably been accumulating more dust and debris than normal. It’s best to use a higher quality pleated filter with a minimum efficiency reporting value (MERV) between 8 and 12 to keep your HVAC system clean as well as improve indoor air quality. Pet hair, dust, more pet hair, more dust – it’s all hanging out there in your air supply vents and registers. Vacuum out your vents and registers to insure you have cleaner, healthier air in your home for spring. If you have a zoned system and you’ve covered up unused vents, remember to uncover those (and give them a quick clean as well). 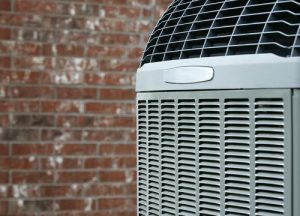 Now it’s okay to turn on your AC to see if it’s flowing smoothly with cooled air (and not burning out under a condenser cover or shooting dirty, unfiltered air though your ductwork). If you find the air is not feeling cool, contact us so we can take a look at your system. Different seasons require different thermostat settings. If you don’t already have a programmable thermostat, think about upgrading to one now. A programmable thermostat will not only keep you more comfortable when you’re at home, but it will save energy (and dollars) when you’re away. You may love to roll up your sleeves and get all this done during a sunny weekend. Or, if you find you’re too busy (or just don’t want to deal with those coils and filters), have a Spring cleaning scheduled as part of a maintenance plan with Best. Schedule your $69 Tune-Up just in time for Spring!